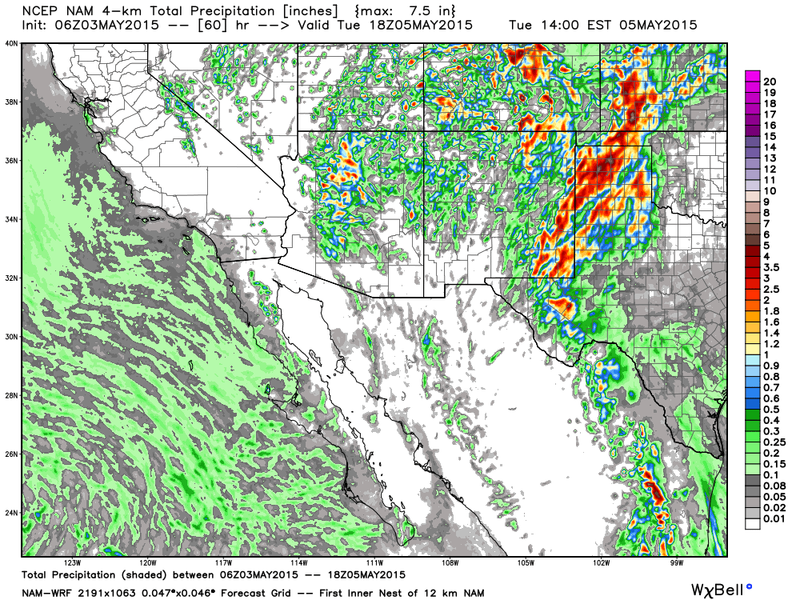 Valid @ 6 PM MDT Today. Low level Gulf of Mexico moisture will continue to increase across the area today as the upper level trough of low pressure located southwest of San Diego begins to move eastward. 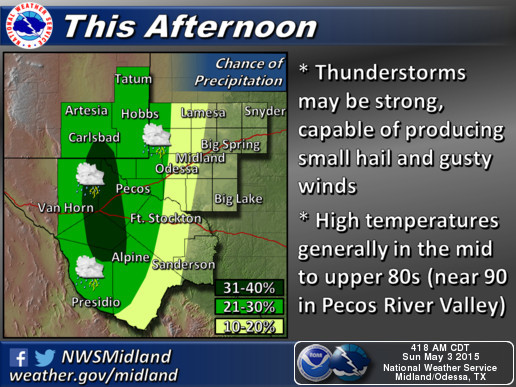 Scattered thunderstorms are forecast to fire up over the local area this afternoon and evening. 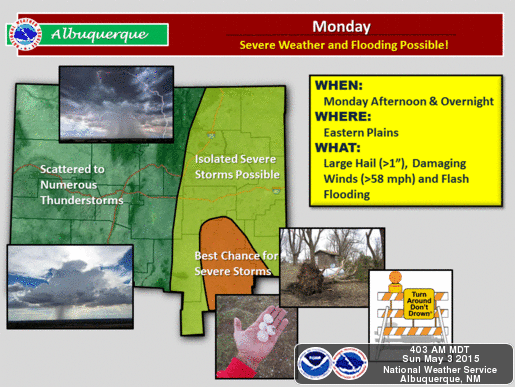 There may be a few severe thunderstorms into this evening but the main severe weather event will be Monday into Monday night, and again on Tuesday across eastern, southeastern New Mexico and parts of West Texas. Severe Thunderstorms & Flash Flooding Monday! Severe Weather Outlook For Monday. 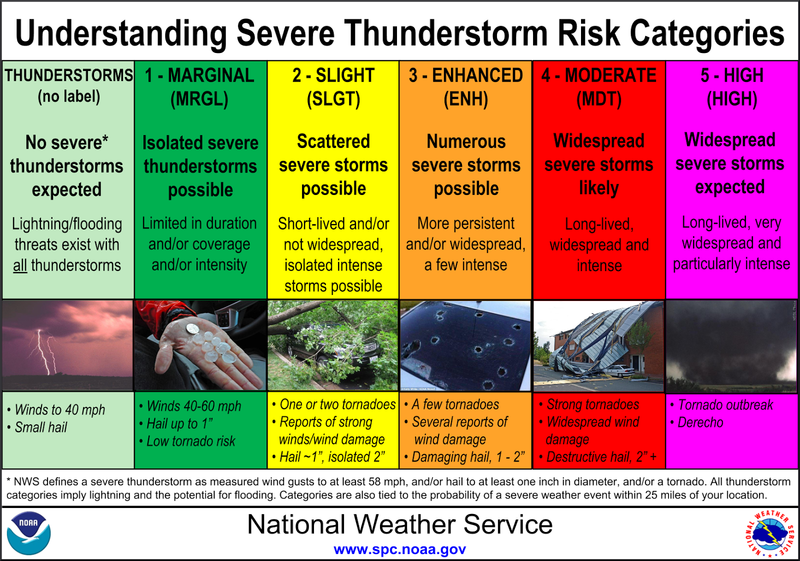 NWS SPC Severe Thunderstorm Risk Categories. 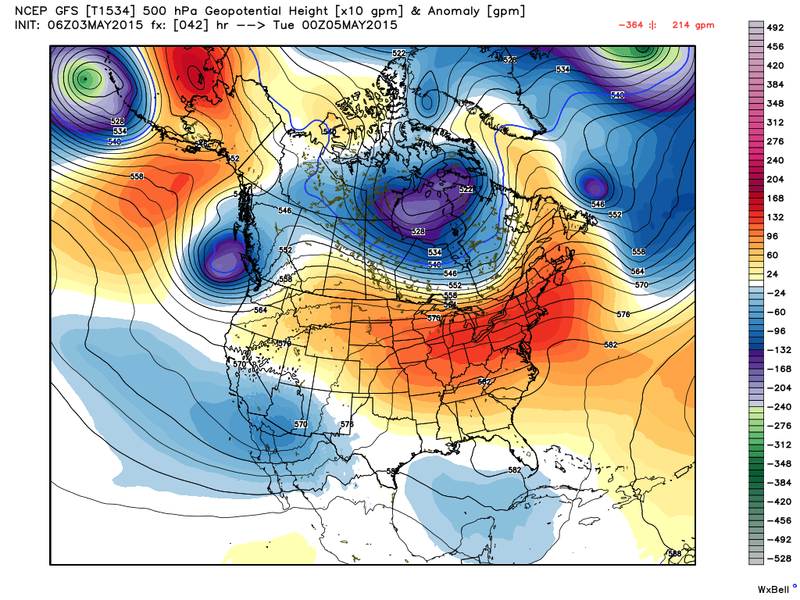 Valid @ Noon MDT Monday. 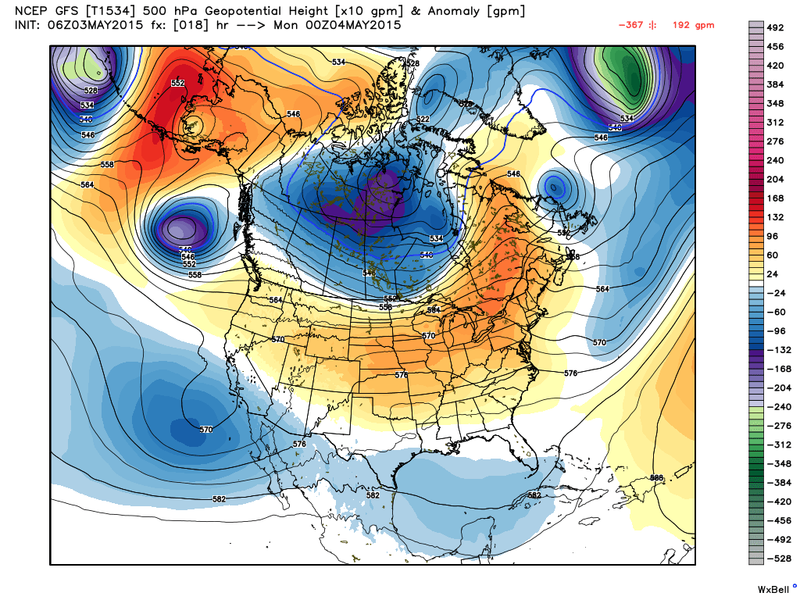 Valid @ Noon MDT Tuesday. Flash Flood Watch Monday Evening - Tuesday Morning. Rock & roll...here we go with the seasons first outbreak of severe weather and flash flooding. Atmospheric conditions will increasingly become more unstable and favorable for the development o thunderstorms starting this afternoon. 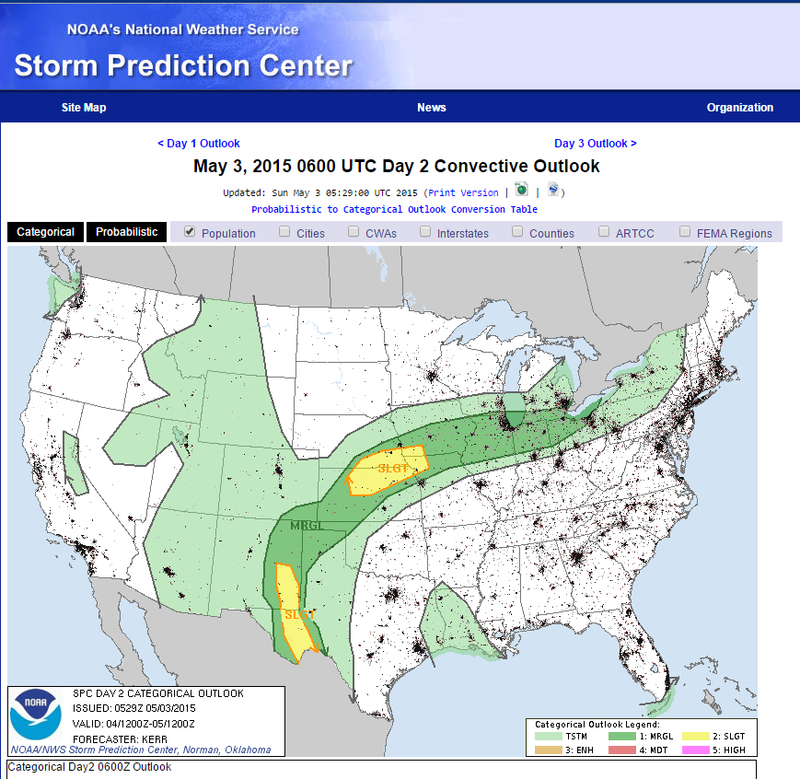 By Monday mother nature will be locked and loaded for bear with the potential for severe thunderstorms on the increase as the day progresses. 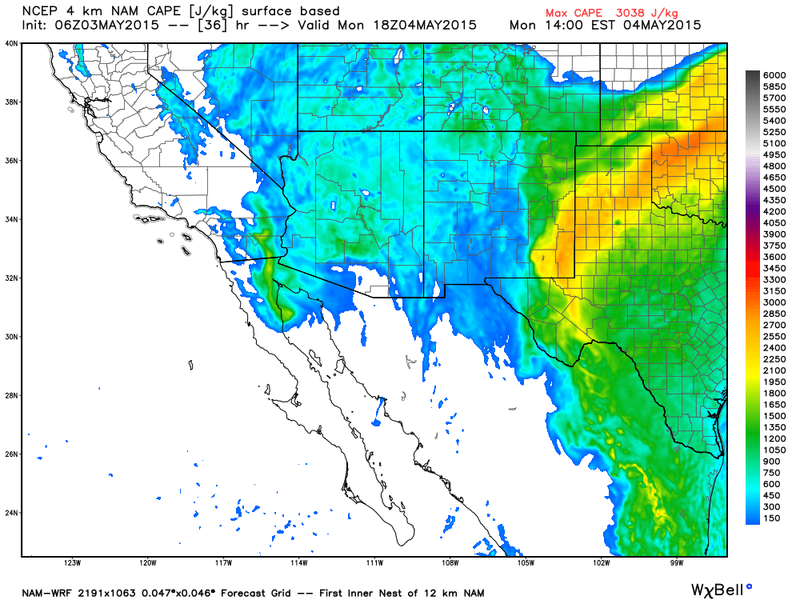 As low level Gulf of Mexico moisture returns to southeastern New Mexico a sharp dryline is forecast to setup over the local area Monday afternoon. Severe thunderstorms are expected to fire up along and east of it. With surface based cape values near 3,000 j/kg, good wind shear in place, a warm moist unstable atmosphere overhead, along with approaching upper level disturbances from the west kicking eastward out of the upper level low, some of these thunderstorms are going to be mean. Large hail (1" in diameter or the size of quarters or larger), damaging thunderstorm wind gusts in excess of 58 mph, deadly cloud to ground lightning, and locally heavy rainfall will all be possible Monday into Monday night. A few isolated tornadoes will also be possible. We also have the potential for some decent if not heavy rainfall totals by Wednesday. Some of the models are forecasting 1.00" - 2.00" storm totals by Tuesday. I wouldn't at all be surprised to see a few isoalted spots get over 2.00". 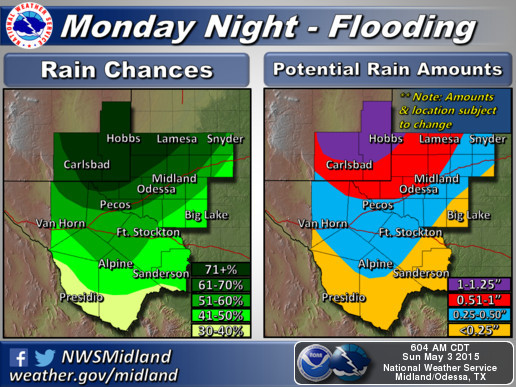 Since a Flash Flood Watch will be in effect for Eddy and Lea Counties Monday evening into Tuesday morning be very careful out there folks. Watch those arroyos and if you come upon one that is flooded do not try and cross it. The same applies for any low lying area including city intersections.